At home this weekend? Pick up these DVDs and have a blast. Cast: Clint Eastwood, Harry Guardino, Reni Santoni, John Vernon, and Andrew Robinson. Plot: A serial killer named Scorpio is on the loose, and his spree will continue until the city of San Francisco pays him a hefty sum. Now, it's up to self-styled and unrelenting inspector Harry Callahan to come to their rescue. And that he does. Aces: Clint Eastwood coolly points his gun at the bad guy and asks, 'You've got to ask yourself one question: 'Do I feel lucky?' Well? Do ya, punk?' That's as classic as it gets. Stunningly shot, the film renders a realistic human portrayal to this edge-of-the-seat ride. Did you know that Eastwood was not the original choice for the iconic 1971 character? Frank Sinatra (!) and Paul Newman had been previously approached. Eastwood reprised Harry Callahan in subsequent films like Magnum Force, The Enforcer, Sudden Impact and Dead Pool. Extras: Available with English, Spanish, French subtitles. Cast: Sophia Loren, Mira Sorvino, Deborah Kara Unger, Pete Postlethwaite, Gerard Depardieu and Julian Richings. Plot: Three women in three different situations -- a guilt-driven photographer, an emotionally disturbed cellist and a submissive housewife -- break free from social, psychological and emotional shackles to achieve self-actualisation. Aces: With such talent on show, this has to be interesting. Swiss-born Ponti doesn't disappoint, showcasing it to the fullest. The complexity in human temperaments and the challenges of life-altering decisions are conveyed with quiet subtlety. That's one of the reasons the drama moves at an unhurried pace. Besides sensitive, reflective performances from the leading ladies, Between Strangers also scores for Zbigniew Preisner's poignant background composition and Gregory Middleton's vibrant cinematography. Cast: Sanjeev Kumar, Moushumi Chatterjee, Deven Varma and Aruna Irani. Plot: An adap tation of Shakespeare's A Comedy Of Errors. Chaos and comedy when two pairs of identical twins collide. Aces: Gulzar combines funny circumstances with witty repartee. 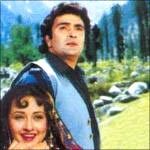 Sanjeev Kumar is effortless at this genre. His matter-of-fact hassled reaction to impossible situations coupled with Deven Varma's Filmfare Award-winning (Best Supporting Actor) wounded, confused look and throat-felt rendition of Pritam Aan Milo invites chuckles by the second. Extras: Available with English subtitles. Cast: Jeanne Crain, Linda Darnell, Ann Sothern, Kirk Douglas, and Paul Douglas. Plot: Just before a trio of wives gets on a boat for a children's picnic, they receive a letter from a common friend saying she has eloped with one of their husbands. An engaging reaction ensues. Aces: Adapted from the novel by John Klempner, this one's a treat for its fabulous direction, inspired performances and sharp wit. Mankiewicz shows the different equations of marriage, their spats and the insecurities of spouses with amusing conviction. This 1949 classic won two Academy awards for Best Direction and Best Screenplay. It was also nominated for Best Film but lost out to Robert Rossen's All The King's Men. Extras: Subtitles in English, Spanish; Commentary by Mankiewicz biographers Kenneth Geist and Cheryl Lower; Biography: Linda Darnell - Hollywood's Fallen Angel; Fox Movietone News. Oscars presented for Achievements in Motion Pictures; Restoration Comparison; Theatrical trailer. Cast: Rishi Kapoor, Zeba Bakhtiar and Ashwini Bhave. Plot: On the day of his engagement, a young Indian man has an ill-fated accident. When he wakes up, he finds himself in Pakistan-occupied Kashmir suffering from amnesia. A beautiful, kind-hearted native girl nurses him back to health and consequently falls for him. Things, however, take a drastic turn the minute his memory returns. Aces: Originally a Raj Kapoor film, his demise led to eldest son Randhir taking on directorial responsibilities. The first-timer put on a good show with this Indo-Pak saga of love, friendship and sacrifice, with spontaneous performances and deep-rooted sentimentality. Henna also marks the Hindi film debut of Pakistani actress Zeba, playing the title role. Though her dialogue delivery was exceedingly poor, the actress exudes innocent charm and flawless beauty. A major plus was Ravindra Jain's rich, melodious music -- Anar dana, Main hoon khush rang Henna, Aaja ve mahi and Bedardi tere pyaar ne.